Marz ... a cross fit for ancient gods... The solid sterling silver, 'Marz Cross' Pendant has been entirely hand fabricated. The cross pendant features a center of braided, oxidized sterling silver framed by 2mm round sterling silver wire. The 'Marz Cross' Pendant measures 35 mm x 28 mm and is topped by a 10 mm bail. The Marz Cross pendant weighs 6.7 grams. 'Marz' Cross Pendant $ 179. The 'marz cross' pendant is pictured hanging on a solid Sterling Silver, 20 " Solid Figaro Link Chain. The Figaro Link Chain can be purchased separately from the 'Marz Cross' pendant. 20" Sterling Silver Solid Figaro Link Chain $59. 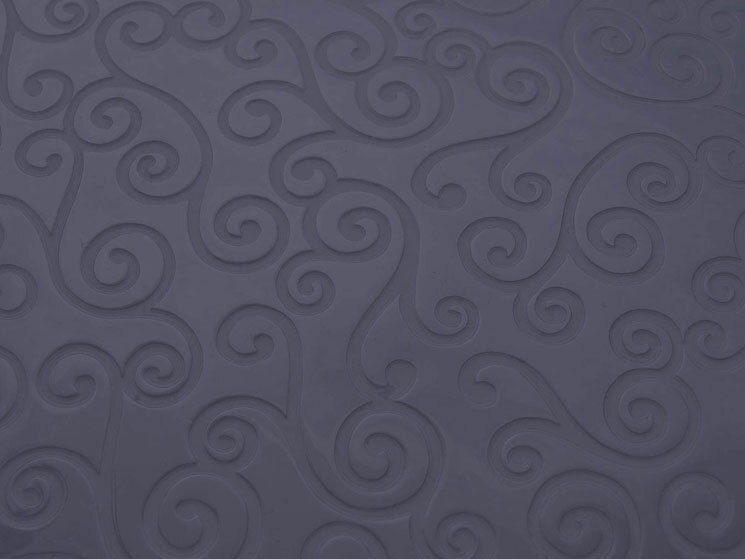 All of the jewelry showcased in the 'one-of-a-kind' collection are artist originals. 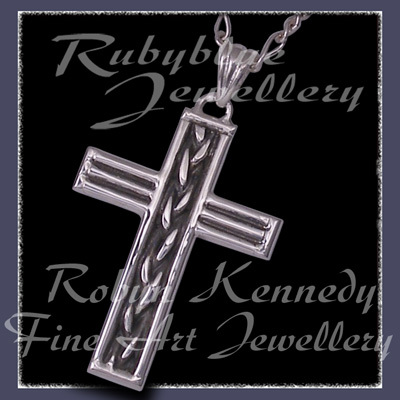 To purchase the 'Marz' Cross Pendant without using PayPal, please contact us by e-mail or phone at Rubyblue Jewellery.